The best place to find homes for sale online is not always the most obvious place. The obvious places for most home buyers are whichever websites pop up when they enter key search words into Google. Sometimes, the home buying websites most frequented are those friends recommend, but unless those friends are real estate agents or in the real estate business, they probably are misinformed. Fact is, most home buyers have little idea where to find homes for sale. They tend to presume that a national website with lots of pretty pictures, maybe some question and answer pages, is a good place because they see a lot of activity. National websites are not your best option. Websites that contain listings of homes for sale from all over the country pull that information from a variety of sources, some of which are unreliable or misleading. For example, some websites receive listings from a feed that kicks out homes that are present on a delinquent mortgage list. When a homeowner falls behind on payments, this website picks up that delinquency and reports it as a pre-foreclosure. This does mean the home is for sale. Odds are it may never be for sale, but you might find it on a national website. Some websites do not report sold or pending sales. 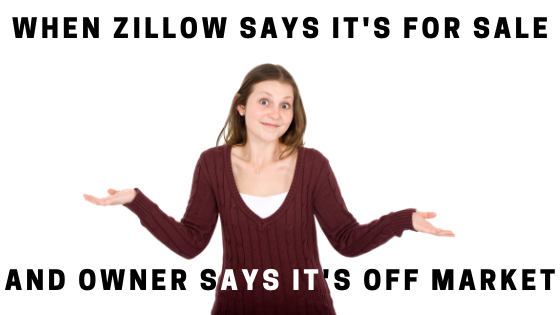 So, a buyer might find the perfect home for sale but that home has already sold. It takes a few hours to a few days for some websites to update information as well, so a buyer is rarely assured that information is presently current, much less accurate. It can be very frustrating and upsetting to try to rely on information that appears correct but is wrong. These websites do a fairly good job of giving a first-time home buyer an overview of pricing in an area, but mostly the raw data could use refinement. I mention so-called area specialists because you'll run into it on certain types of websites. A real estate agent's own website, for example, will not direct you to a competing real estate agent, but many national websites of homes for sale actively encourage real estate agents to advertise. In other words, these websites charge agents a monthly or annual fee to advertise themselves as an area specialist. It works out as a great revenue stream for the website companies, and it gives real estate agents who might not otherwise receive any exposure online a place to be noticed. Is that real estate agent who might be offered as one out of four agents to help you actually an area specialist or is that agent a budding entrepreneur with extra money to pay for special placement? You won't know. Odds are more likely that the agent is not the area specialist because typically these types of advertising opportunities tend to appeal to brand new agents who are looking for buyers to help build their business. A neighborhood specialist is generally an agent who lists and sells a lot of listings in that neighborhood. Although, there are some parts of the country where agents specialize in working only with buyers, and these are typically exclusive buyer's agents. It's confusing. To clarify, you should probably ask the "area specialist" how many homes that agent has sold in that neighborhood. Find out whether the agent specializes in representing buyers or sellers or both. The very best place to find homes for sale online is to receive that information directly from the prominent multiple listing service (MLS). Multiple listing service listings are updated instantly. Only real estate agents and other paid participants of the multiple listing service have access to this information. A multiple listing service might feed listings to a local newspaper or perhaps to its own public portal, but it won't contain the information a real estate agent will receive. Apart from subscribing to a local multiple listing service yourself, the next best thing is to ask a real estate agent to subscribe you to listings. You can often sign up for automatic emails through an agent's website, but the listings that you will receive from an agent's website are most likely delivered through an IDX, which is not as extensive as the data from the mothership, the multiple listing service. If an agent agrees to send you emails, that agent can probably arrange for the listings to be delivered directly from MLS. The more general you make your parameters, the more listings you will receive. If you are looking for a home in the $400,000 price range, your agent might set the parameters as $399,000 to $450,000. That would mean you would not receive a home priced at $455,000. Most real estate agents have the ability to specify boundary searches or can draw map searches for you, which is particularly useful if you are searching in more than one ZIP code. You can ask to receive sold listings as well as pending listings to help you monitor the marketplace. Some systems allow emails to go out several times a day or even every hour on the hour. If you are not yet ready to buy a home or to ask a real estate agent to send you automatic emails of listings, your second best bet is to find the real estate company in your city that handles the most listings. This brokerage will probably maintain an active website as a marketing tool, which will provide filtered information on listings through its own feed from MLS. Make sure the brokerage provides listings from every broker and does not just offer the brokerage's own listings. Generally at the bottom somewhere you'll find a note as to the brokerage that owns the listing. It might read: listing courtesy of Big Box Brokerage. Advertising only company-owned listings is generally not a problem in a large metropolitan area but is more prevalent in a small town. We hope you appreciate this article as much as we do! Because in the online world, it's a basic necessity to know who you could trust or rather, which websites you could trust. Always be one step ahead, use an agent's website like www.myhomesavannah.com or send us a message and we can set you up to receive listings directly from the MLS! Call Ed at 912-844-9000 for any questions!